Frank Lettini came to America after leaving Italy in 1959. After serving	in the U.S. Army he came back to Sacramento and found work at a local	Volkswagen dealership. He excelled in his position, eventually became	the shop foreman and quality control. However, Frank had a vision for	a different, more personal approach to automotive service and repair. In 1969 Frank decided to open his own shop where he worked on nothing	but German vehicles. His son, Nick F. Lettini, started working along side his father as a small	child. Nick would spend summer vacations at Frank’s Automotive helping	his father and team of technicians. Many of our clients have seen Nick	grow up in the business. The father and son’s love of providing	exceptional service and taking care of customer’s vehicles was shown	in their outstanding work. In the 1980’s, Nick began to take a more active role while attending	Jesuit High School. While attending Jesuit, Nick began spending afternoons	and vacations learning the trade and seeing his father’s vision. In 1997, the father and son duo became partners. 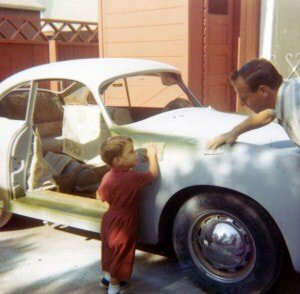 Since then, Nick has	taken the reins of the business and expanded on his father’s dream;	providing Sacramento’s German Vehicle Market with an alternative	to the dealerships. Frank’s Automotive services to a niche market only specializing in German vehicles. With	highly trained technicians and attention to detail, our team has proven	excellence in all their work. With every vehicle we take great care in	handling each and every aspect of the service. Your vehicle is important	to you, so that makes it important to us. Our family friendly customer	service together with our state of the art diagnostic equipment makes	Frank’s Automotive your dealership alternative. If you ask our customers	in Sacramento	about us, you will hear how well we treat both the vehicle and the person. You	are well taken care of at Frank’s! We guarantee the quality and effectiveness of all repairs, parts, and components performed or installed by its agents on the premises. Our trusted technicians will be able to take care of your vehicle with exceptional attention. Come visit us today. Fill out our short form and we will get back to you.